Hello everyone! 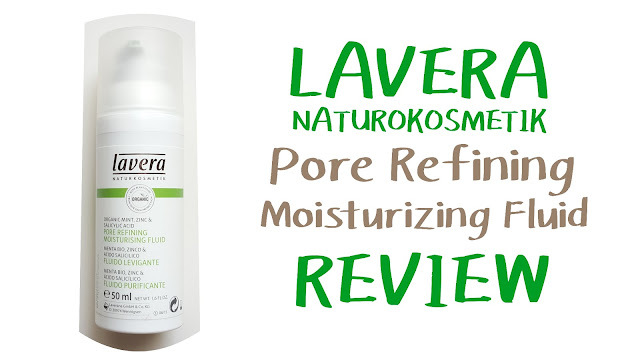 Today I'll be posting a review of Lavera Naturokosmetik's Pore Refining Moisturizing Fluid with Organic Mint, Zinc and Salicylic Acid. 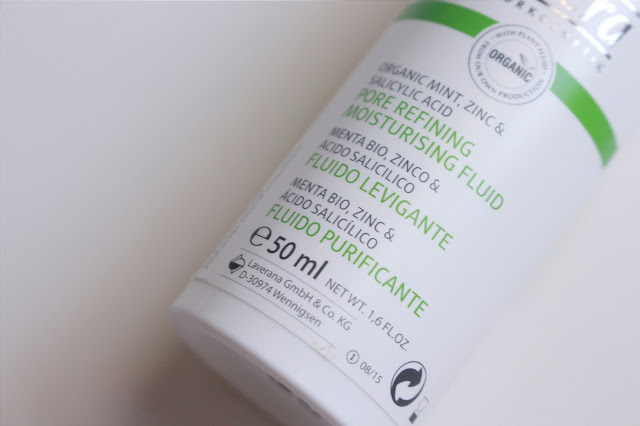 I'm back for another skincare product review! It feels like its been ages since I last posted one, so today I thought I'd share with you guys a product that has been an absolute GODSEND to me these past few months. So without any further ado, on with the review! Disclaimer: This is not a sponsored post and everything here is my own honest opinion! A while back, my parents went to Germany and I asked my mum to buy me some skincare. 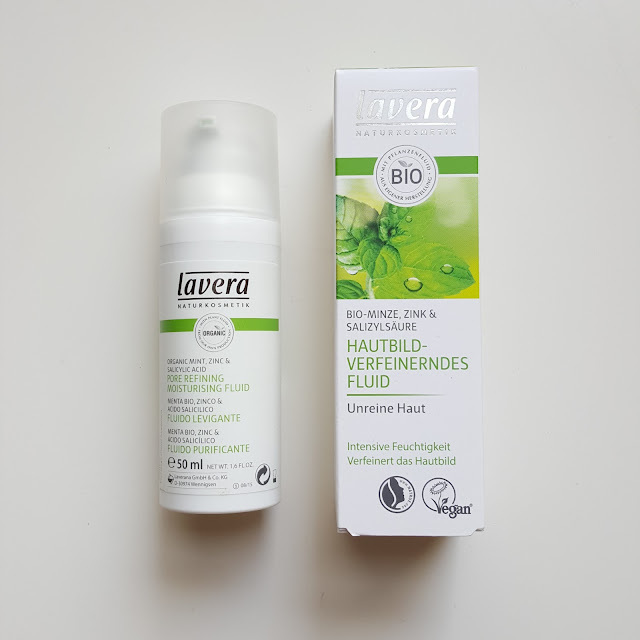 She purchased a couple of products from this German brand called Lavera. One of the products was this pore refining moisturizing fluid. Unfortunately, the packaging is in German and I had no idea what it was. All my mum asked the saleslady was what would she recommend for acne skin and apparently it was this. 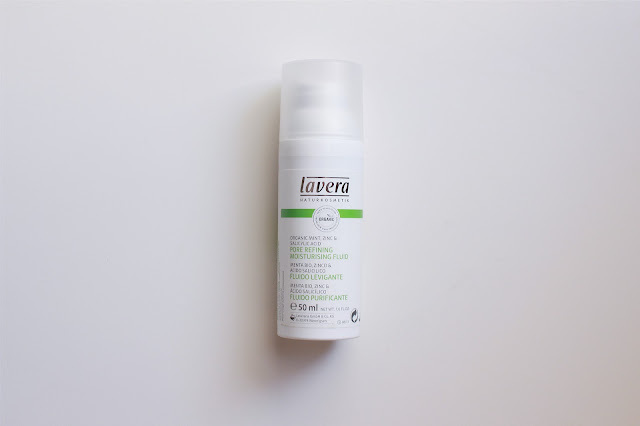 For pure and smooth skin: The lavera Pore Refining Moisturising Fluid with organic mint provides skin with long-lasting moisture. The formula is developed especially for blemished skin, and is enriched with zinc and natural salicylic acid from willow bark extract for wonderfully smooth skin and clear pores, noticeably reducing pimples.Effectiveness confirmed by an independent institute. I was a bit skeptical but since it appeared legit, I decided to give it a try. On the package it says that it's a moisturizing fluid, so I used it as a moisturizer. 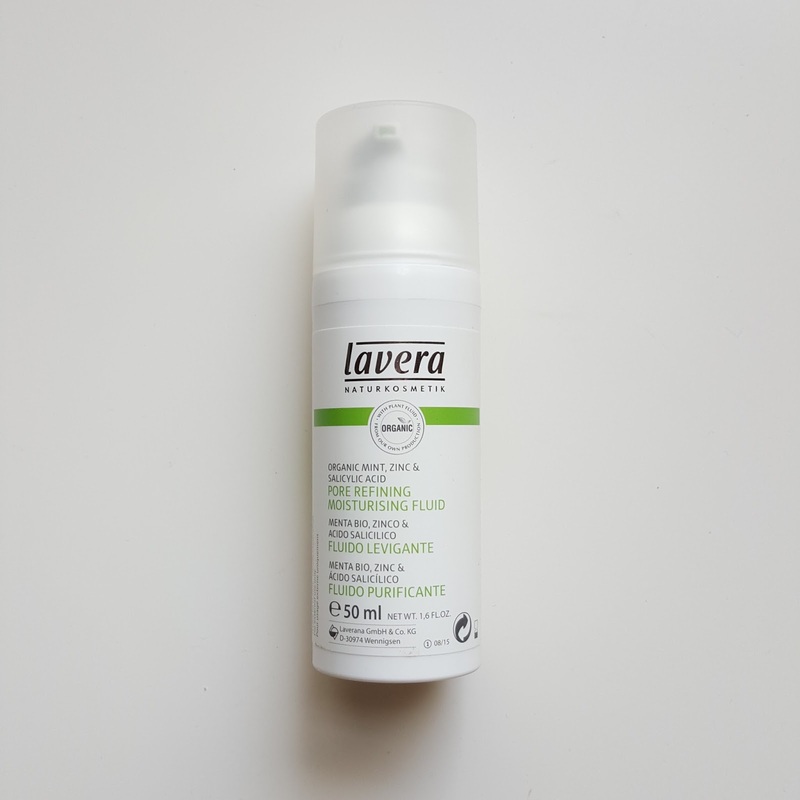 My mum forgot how much the product cost, but I found out that Lavera is available on Lazada here in Malaysia. This specific product isn't in stock, but other products from the same range cost about RM70-100. The full sized product come in a 50ml pump bottle and the only inconvenience of this packaging is that you can't tell how much of the product you've used. Other than that, I've had no problems getting the product out or controlling the amount that I want. This product contains organic mint, zinc and salicylic acid, as well as natural oils. Mint is known to have a lot of benefits for acne skin such as it helps with tightening pores, thus reducing oil production. Mint is also rich in salicylic acid which is a common ingredient in acne products as it prevents pores from clogging and reduce oil, thus preventing acne. Zinc has anti-inflammatory properties and helps soothe acne skin. This product is light green in colour with a slightly thick cream consistency and a minty fragrance. I think the colour and the smell are due to the mint. The smell isn't very heavy and I find it quite nice actually. One thing I find interesting is because I have oily/acne-prone skin, I usually tend to avoid thick creams and use gels instead as creams feel stuffy & thick, plus they don't usually absorb that well. The only exception to this is thin creams like my OXY10 pimple cream for pimples. This product is surprisingly light and feels like nothing after application. 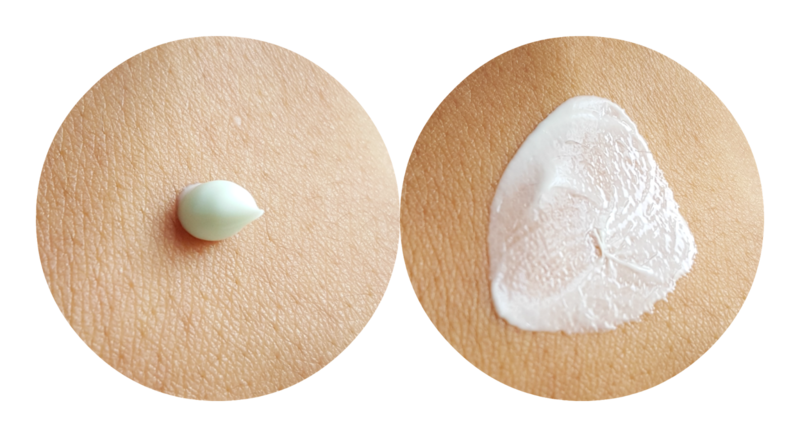 It leaves a nice dewy glow to the skin, unlike other creams that leave a thick cast. One bad thing about this cream however is that it hardens at the spout of the pump quite fast. Pump out an appropriate amount of product (usually 1 pump for me) and spread it onto your face. This product is great for lazy days as well. After toning, you can skip everything and just apply it. I LOVE THIS PRODUCT. Ever since I got it I've used it almost everyday and I'm want more! It has reacted very well with my skin and my breakouts. It soothes the skin and does diminishes pimples as promised. 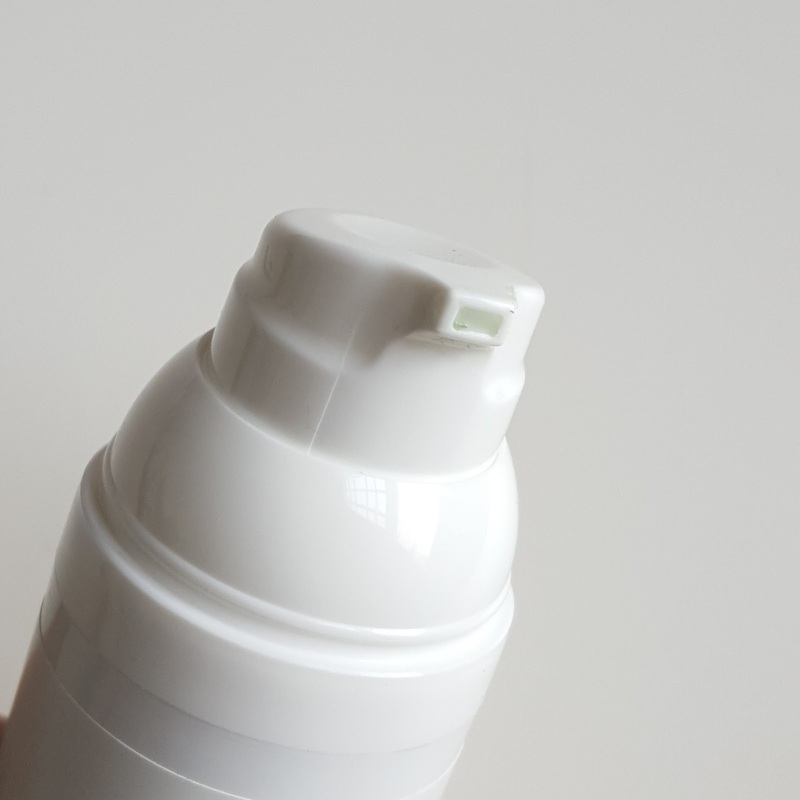 It's not a spot treatment for pimples and it won't dry out your skin like other acne creams. It somehow manages to soothe/calm the skin and moisturize at the same time. Its more of a preventive product and I recommend it if you have oily skin like me. 4. Helps to calm down swollen bumps (from pimple popping, omg I should stop popping my pimples) and redness. As for pores refining, I didn't have big pores to begin with, but I have noticed that after the first few weeks my skin felt firmer. A little goes a long way with this product as its easily spreadable and absorbs nicely into the skin. This product is a must try especially if you're dealing with pimples. It's a great dual product that works to diminish acne without drying your skin out. I've used the product for about 3 months now and when I weigh the bottle I feel like its running out. Yes times 100! If only I can find it here in Malaysia...I hope Lazada restocks soon! That's it for this review! If you're interested in reading more of my product reviews, click here! 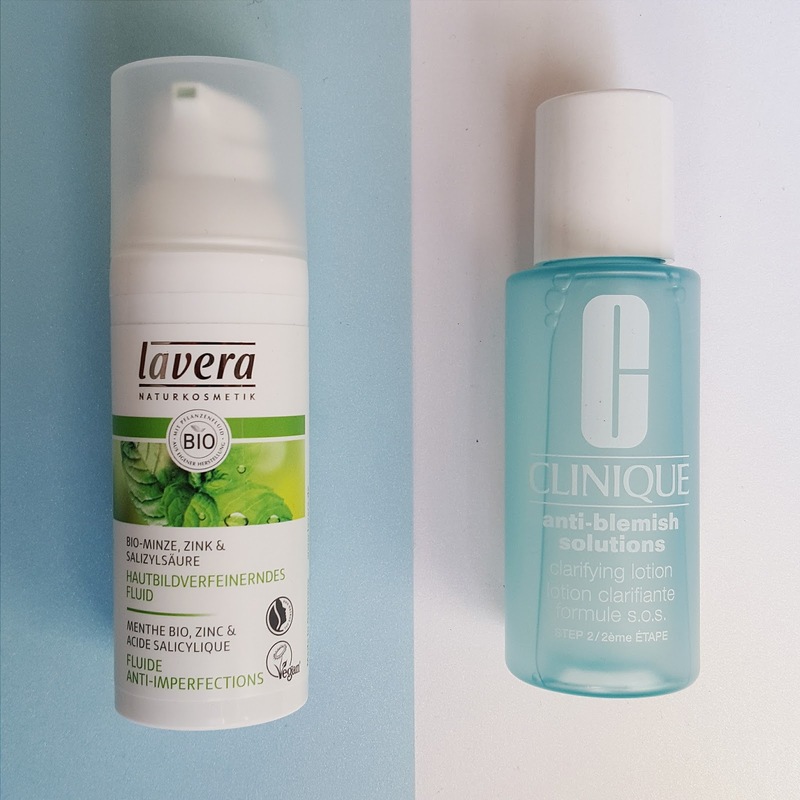 Also, I posted 2 skincare product reviews this weekend, so do check out the other post by clicking here! Thanks for such an awesome review! I just purchased this here in Canada. I have dry skin but also large pores so I was kinda on the fence about using this, but your review helped me made my decision. I'll give it a go and if it's drying i'll moisturize before applying. Thanks once again. Hi Nida, I'm glad my review helped! 😊 Hope the product works well for you too!